On June 29, a whole new level will be available for Crash Bandicoot N. Sane Trilogy. 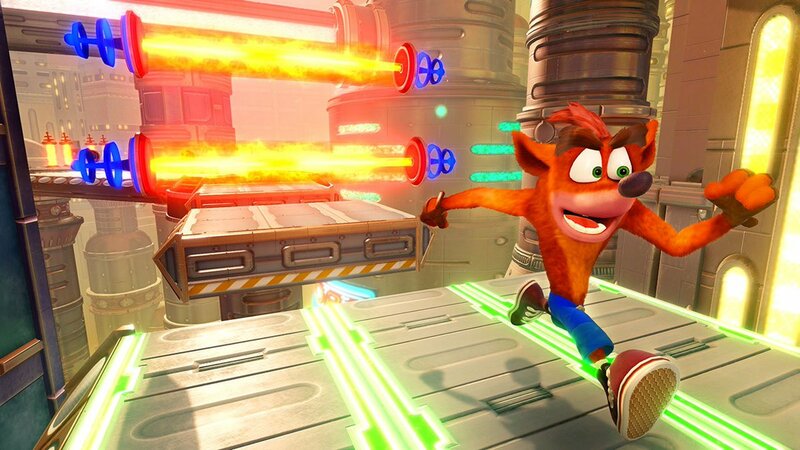 Future Tense will be included as a bonus in Crash Bandicoot 3: Warped, part of the Crash Bandicoot N. Sane Trilogy. 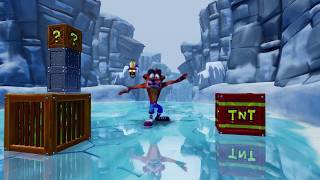 Developed by Vicarious Visions, Future Tense pays homage to the unreleased Waterfall level from the original Crash Bandicoot game. In Future Tense, Crash and Coco will take on some familiar enemies and hazards. The level will be accessible via a new platform in the Warp Room of Crash Bandicoot 3: Warped, and playable at any point in the game’s progression. In addition, the new platforms will also receive Stormy Ascent as a bonus level starting June 29. Existing Crash Bandicoot N. Sane Trilogy owners on PlayStation 4 can download Stormy Ascent starting tomorrow at no additional charge from the PlayStation Store. Released last year on PlayStation 4, Stormy Ascent was a paid DLC remake of the unfinished level from the original Crash Bandicoot game. Crash Bandicoot N. Sane Trilogy will be available on Nintendo Switch, Xbox One and Steam on June 29, 2018, marking the first time that the original three games will be playable on these platforms.